The weekend is a time for dressing up, dressing down and finding those perfect outfits for right in between. 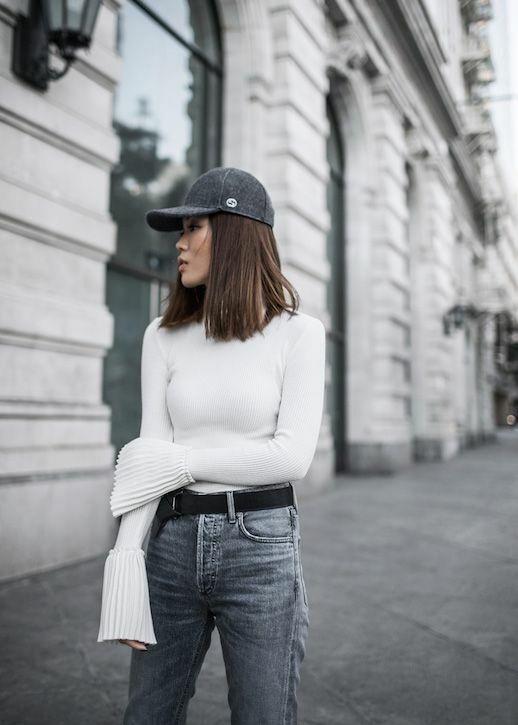 This blogger found the ideal mix by wearing a cute wool cap (for those windy, messy hair days) a white, fluted-sleeve turtleneck, worn-in jeans, and metallic pointed-toe ankle boots. Comfort meets chic with this ensemble.